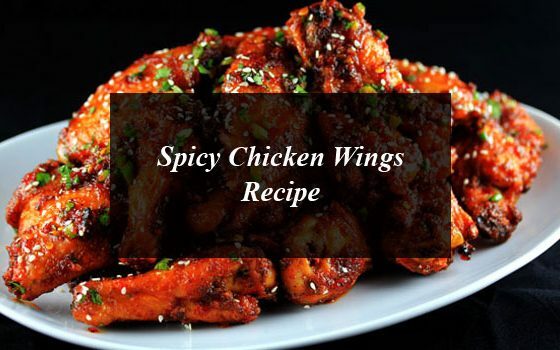 Everything how to make the spicy chicken wings at home in just few minutes. How to prepare spicy chicken wing? In a large bowl add chicken wings, garlic, salt, red paper powder, black pepper, lemon juice, gram flour, carom seed and mix chicken wings and keep it in the refrigerator. Now heat oil and fry chicken wings until golden brown. When they are golden take them out and sprinkle garlic and fresh coriander, sesame seeds on it and enjoy.